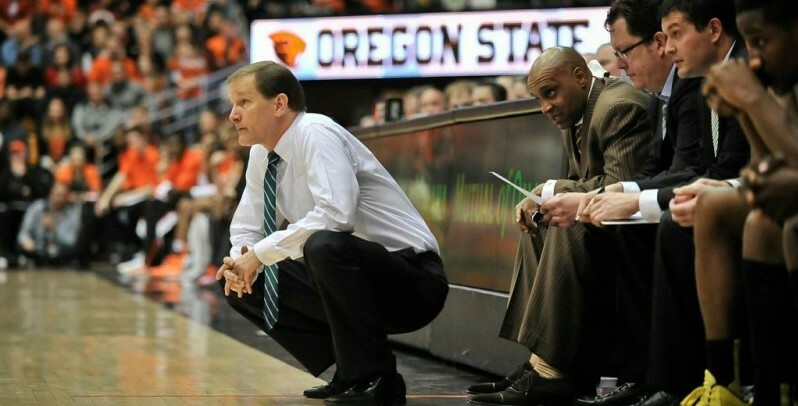 Dana Altman is not a man of many words. Although on the sidelines he can be seen yelling out directions at his players, he really is a quiet and humble guy. So, when talking about his Ducks, Altman kept it brief. Altman’s Ducks saw incredible success this season, a season in which many experts expected them to fail. Early predictions had the Ducks finishing eighth in the Pac-12, however thanks to the combined genius of Altman and Joe Young, the Ducks tallied up 23 wins on their way to a second place finish in the Pac. Consequently, both Altman and Young were awarded Pac-12 Coach and Player of the year respectively. 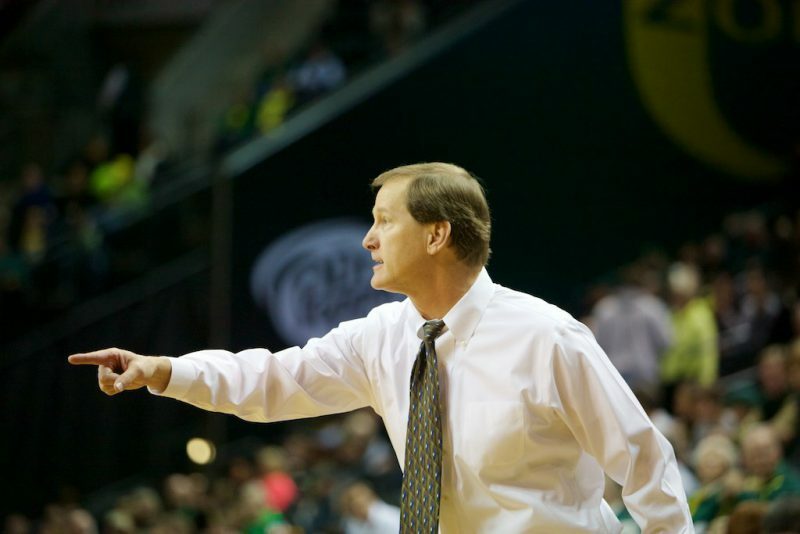 Dana Altman put together a masterful season for the Ducks. When asked about the honor of receiving the award Altman replied, ”Those awards are nice. In this particular case there were a lot of candidates who could’ve won either won.” The always modest Altman went on to say how he felt that Arizona’s coach Sean Miller deserved the award for putting together such an impressive season. Later, when asked about his preparation this week, Altman simply stated that the team is ”Trying to get ready for Colorado/Oregon St.” He elaborated by saying, ”That second game is usually one of your better games. You get all the nerves out, and that’s always a dangerous game for a team sitting there waiting to play.” Altman is of course referencing how the Ducks receive a first round bye, and how they will have to be careful considering the winner of Colorado/Oregon St. will already have a game under their belt. 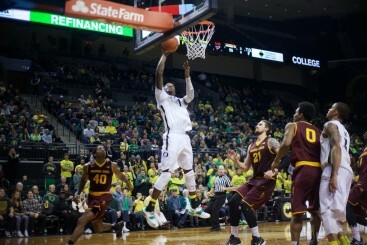 Young players like Jordan Bell have stepped up this year to fill big voids for the Ducks. Finally, Altman’s confident this team has what it takes to make a deep run in the tournament. He did, however, reference the weaknesses of this team in particular. He said, “We’ll be a little nervous. We’ve got a lot of guys playing in a new situation.” A lot might be an understatement considering that Altman only returned three legitimate contributors from last year’s team. For players like Dillon Brooks, Ahmaad Rorie, Dwayne Benjamin and Jordan Bell, this will be their first time in a legitimate college tournament. Considering none of them have looked like freshmen all year anyway, I think we’ll be just fine.